Surround yourself in the lush greenery of Kerala when you book your room at this hotel. The property located near KIMS Hospital is pretty spacious where visitors find a cozy, relaxing travel experience. Inspired by the surrounding nature, the rooms are elegantly designed that offers delightful experience. The colour combination on the walls, from vibrant lime green to white, brightens up the place. Window in the rooms provides a serene green vista. Modern furnishings offer plenty of storage to keep your bags away and clothes tidy. 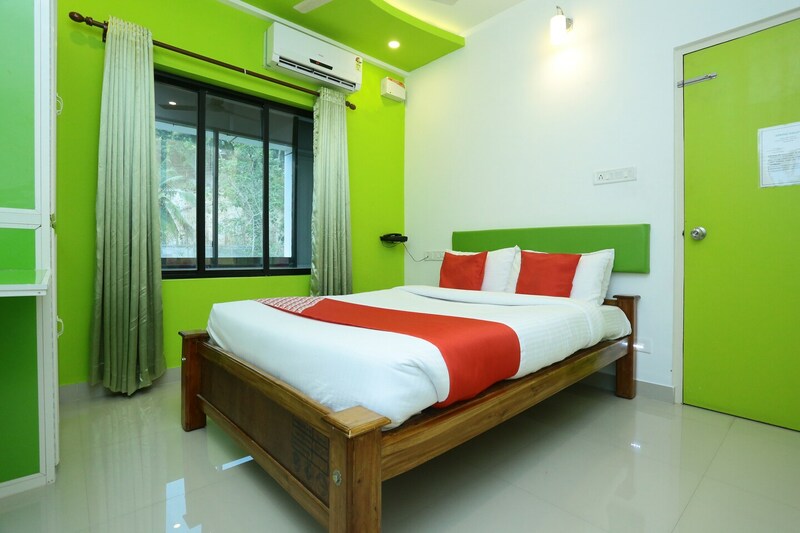 Free WiFi offers seamless internet connectivity and CCTV cameras take care of safety for guests.Guests can visit the nearby local attractions such as Vikram Sarabhai Space Centre, Veli beach and Aakulam Lake with much ease.